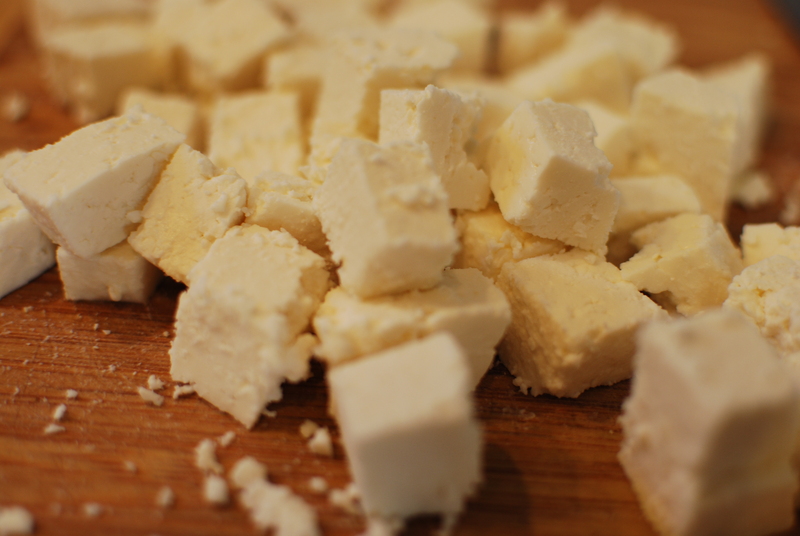 One of the most important ingredient is the fresh sheep cheese, called primo sale (literally “first salt”). The name is used to describe the early stage of its aging. The primo sale is rindless, with a bright white color, and a semi-soft texture. 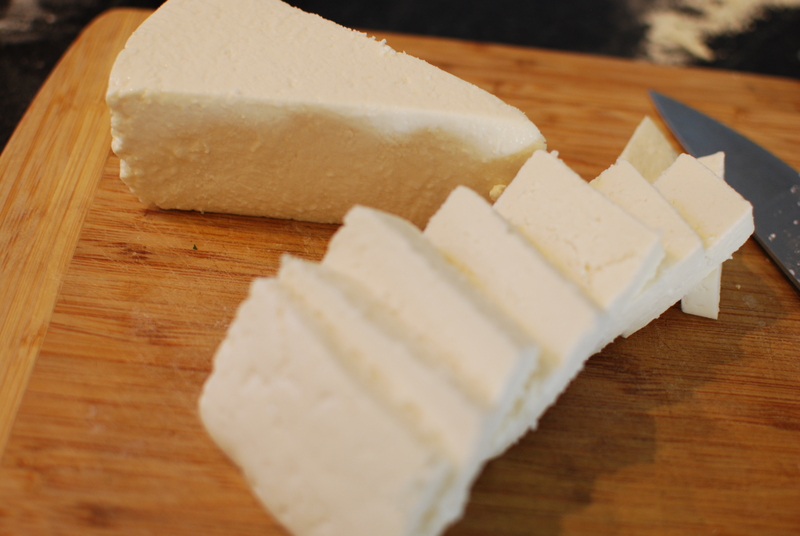 When I was a child, a contadina (peasant woman) used to bring the cheese, the fresh eggs, the fresh ricotta, and also greens and herbs to our door. We lived on the third floor of an apartment building without elevator. How amazed I was watching the not so young woman balancing a large cesto (basket), full of her fresh products from the farm, over her head, while climbing up the three flight of stairs! Under the basket a rolled up rag to protect her head. She would stop to deliver her goods, catch her breath, and accept a glass of fresh water. 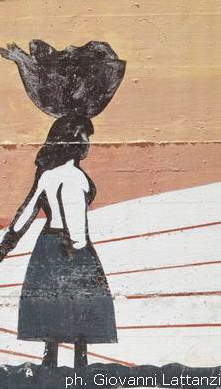 Then, with the basket on her head again, she was back down the stairs on her way to the next building and then the next, until her basket was empty. As you can imagine, I haven’t been using the primo sale in a long time . . 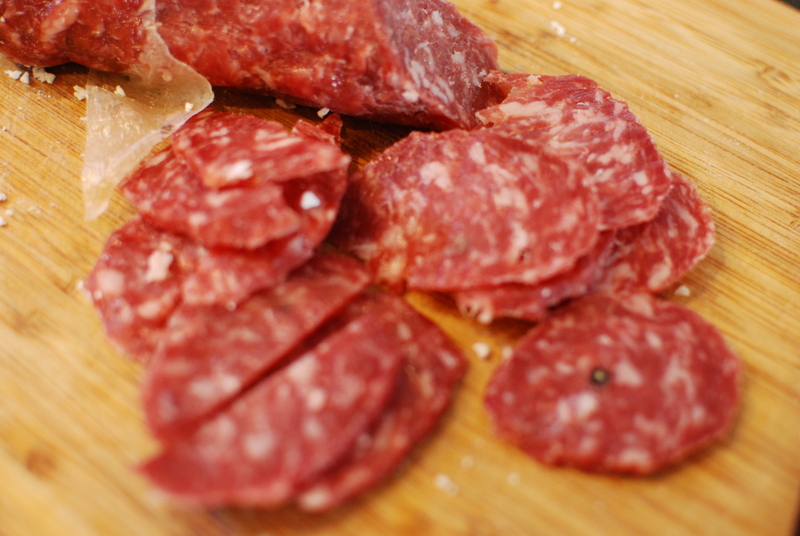 I substitute it with fresh pecorino. 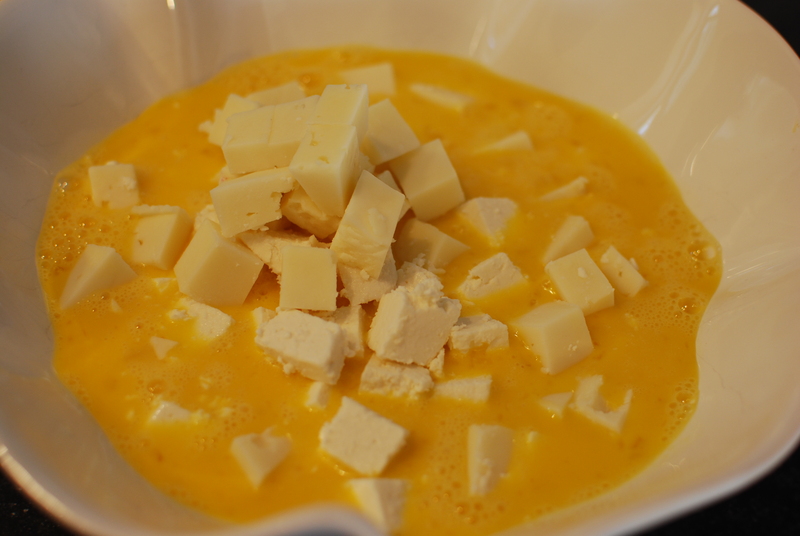 Enough with the nonsense, time to share My recipe. 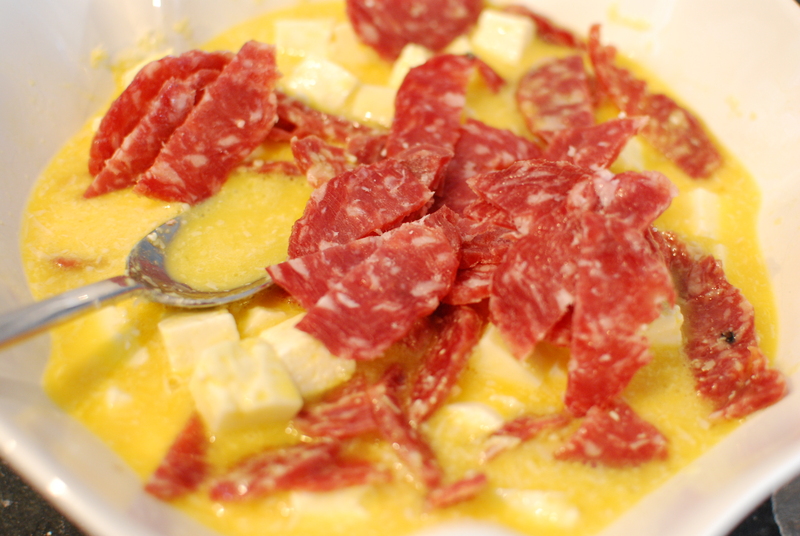 In a bowl add the diced pecorino and the sliced salami. 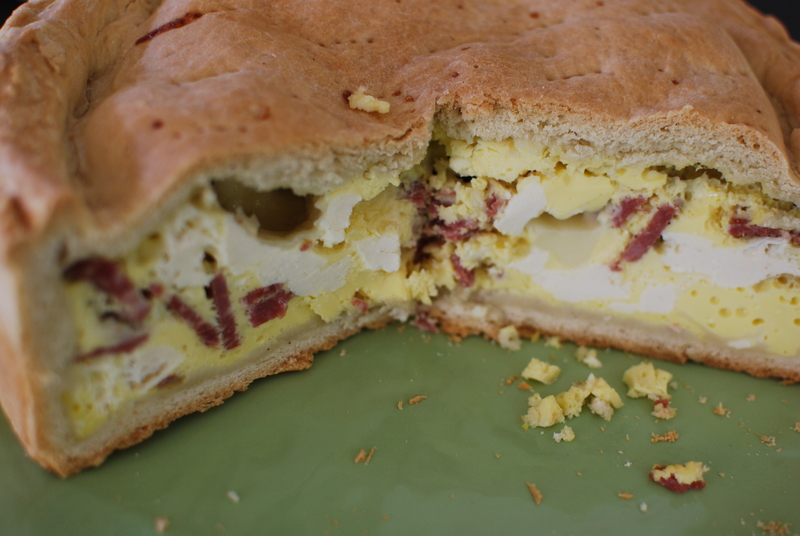 Add the slightly beaten eggs. Lastly add the grated Parmigiano Reggiano and the black pepper. Stir to combine and let rest. Dissolve the yeast in ¼ cup of warm milk and a pinch of sugar. 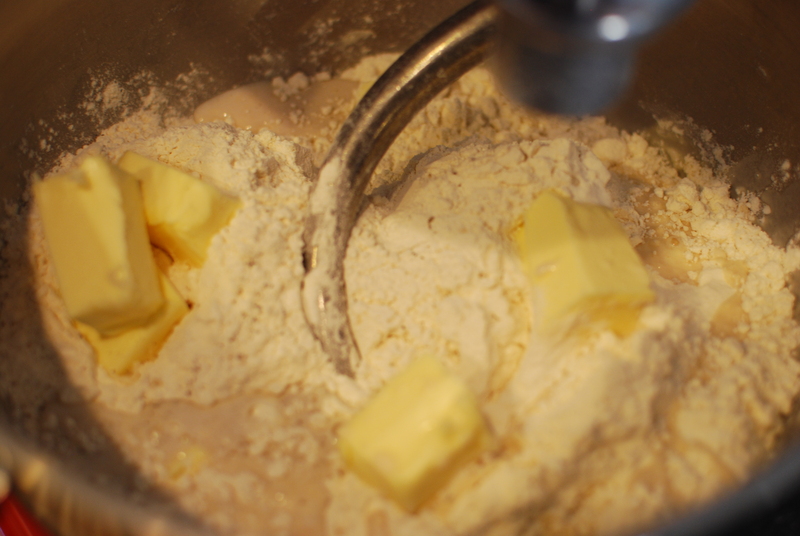 In the bowl of the standing mixer, pour flour, pepper, butter, and dissolved yeast. 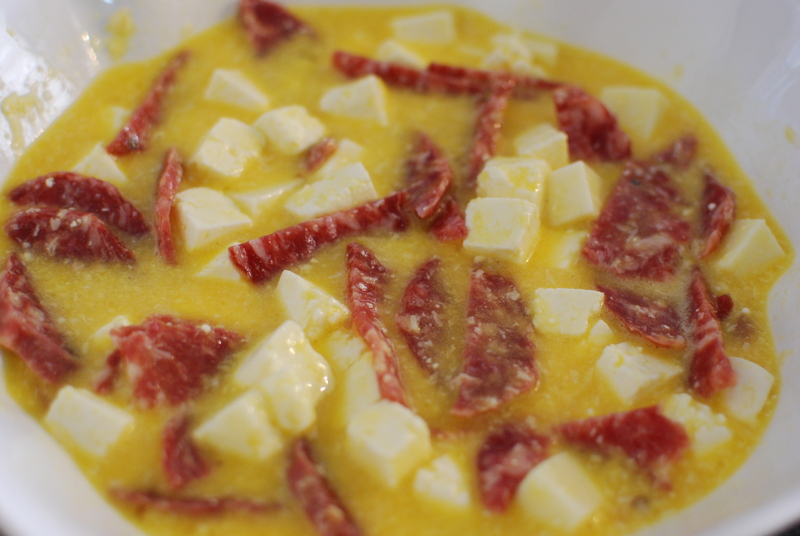 Mix everything together, then add salt. 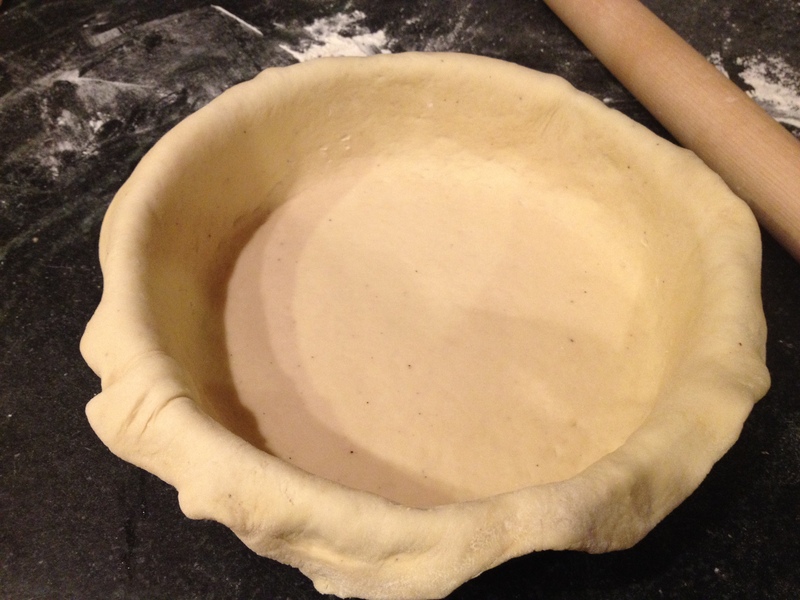 Work until you obtain a soft dough that detaches from the sides of the bowl (add a little lukewarm water as necessary). Cover with a kitchen towel and let rise in a warm place for about 90 minutes. Take a baking sheet with sides high enough, in the oven, while cooking the pizza will grow. Grease the pan with oil. Preheat the oven to 360 degree. 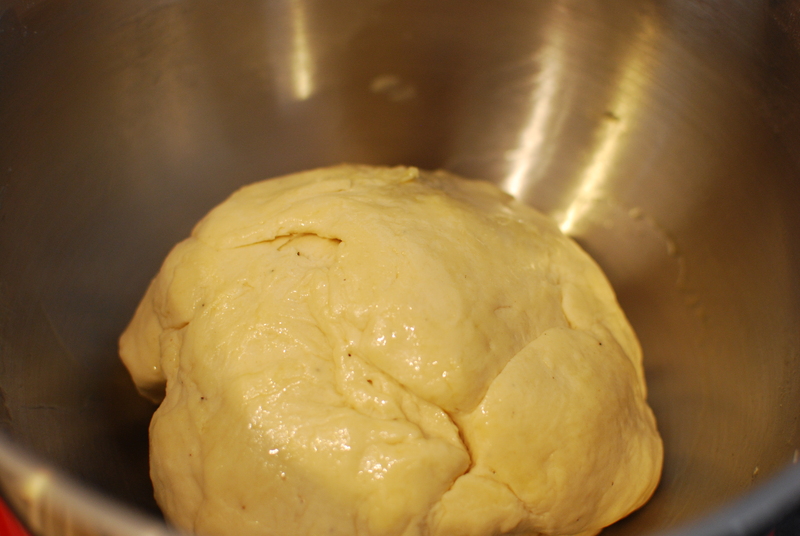 Divide the dough into two balls (1/3 and 2/3). 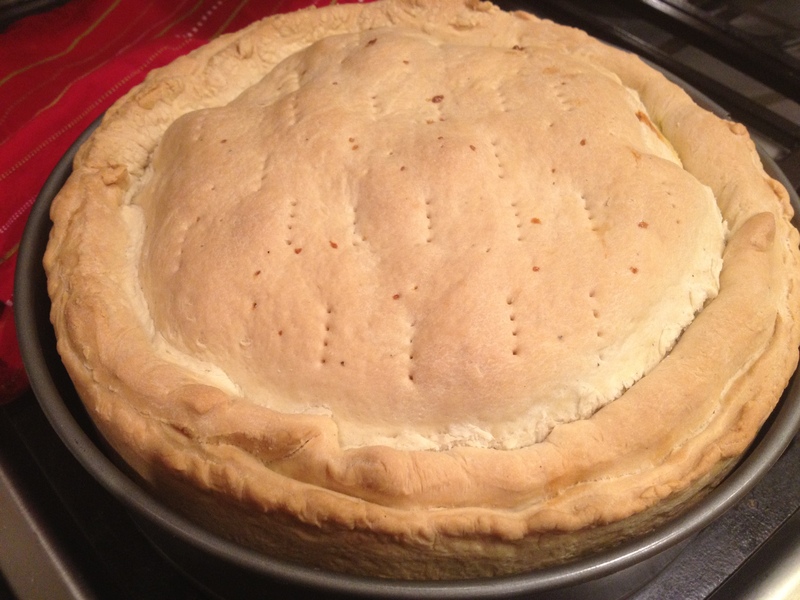 Roll out the larger ball of dough to a ½ inch thick disk. 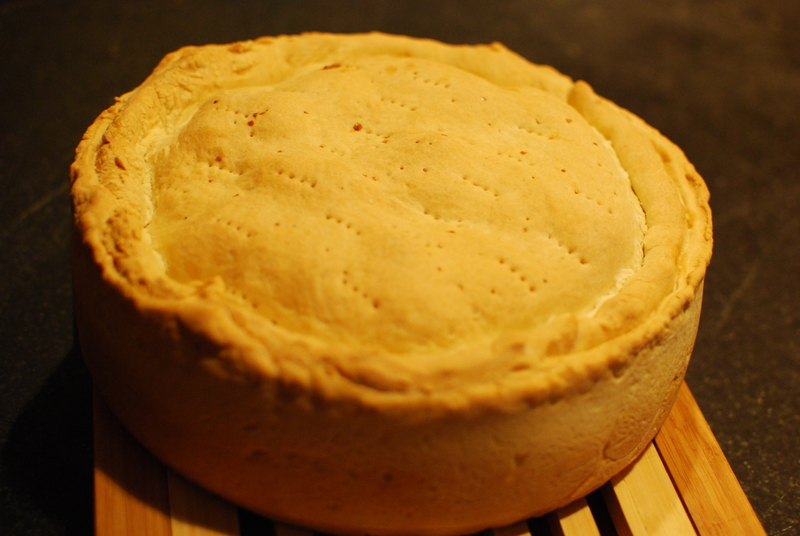 The disk of dough has to be large enough to cover the sides and exceed the edge of the pan. Line the dough into the pan. 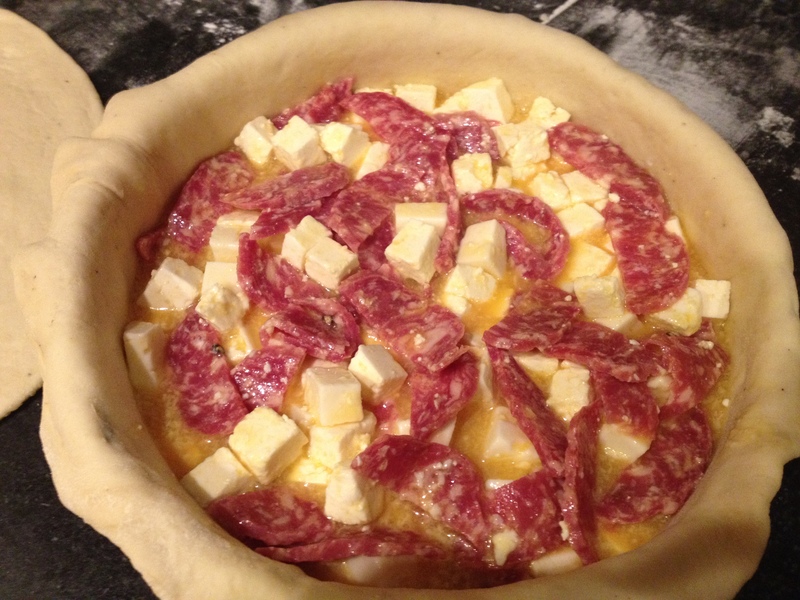 Roll out the second ball of dough and keep it aside. 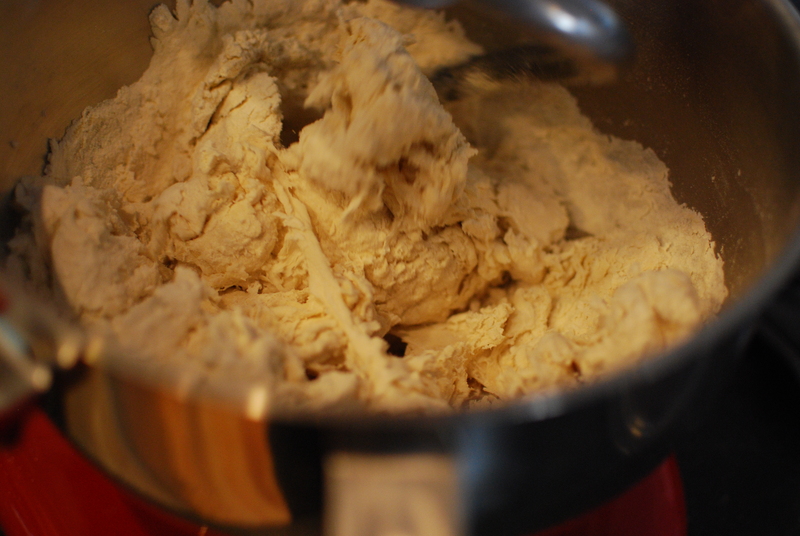 Pour the mixture and cover with the second disk of dough. Seal the border pressing the edges to each other with your fingers. Prick the top with a fork and brush with olive oil. Bake for about 1 hour, the pizza will swell. The pizza is ready when the surface is crunchy and golden. This pizza develops its full flavor 2-3 days after baking so, plan in advance. I know it is hard to resist to this inviting dish while is sitting on your kitchen counter, but let me tell you, the wait is worthwhile. Yummy! Although I’m not baking a pie I have currently got a chorizo frittata baking in the oven, this type of food I love to eat either hot or cold.